Okay, we are in the midst of all the final details for the Atascadero Firefighter’s Ball this weekend…soooooo, I’m late in blogging…wahhh. 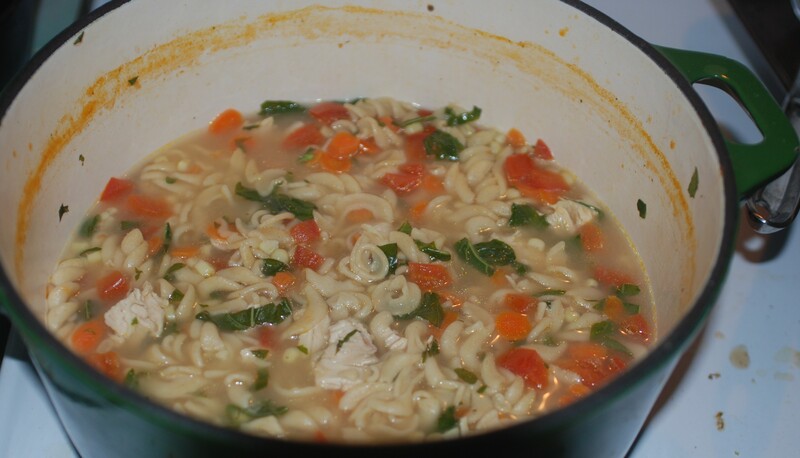 Pix will come of all the silver wrapped votives I was making last night for said event, but in the meantime I wanted to do a quick post of an awesome Chicken Noodle Soup that I whipped up (one of those happy throw everything into the pot moments). It’s seriously fresh, hardy and perfect for the changing weather outside!